Potter Park Zoo is the first AZA accredited zoo in Michigan to become a Certified Sensory Inclusive Zoo. We have sensory bags available for check out at the Welcome Center and Discovery Building for families who need them. Don’t forget to pick us a sensory friendly map at the admissions booth! Potter Park Zoo is the first zoo in Michigan to be certified as a sensory inclusive environment by KultureCity. 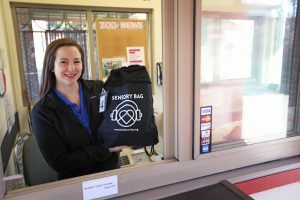 This initiative has prepared zoo staff to assist visitors with sensory sensitivities and ensure they have a comfortable and accommodating experience when visiting, as well as providing sensory bags for guests to check out free of charge. Individuals with autism, dementia, PTSD and other similar conditions often experience challenges with sensory regulation. One of the major barriers for these individuals is sensitivity to over stimulation and noise, which is very possible at Potter Park Zoo. Roaring lions and vocalizing spider monkeys can be an overwhelming and unpredictable noise and we want to accommodate guests that could be affected by it. In preparation for certification, Potter Park Zoo staff completed training by leading medical professionals through KultureCity and learned how to recognize zoo visitors with sensory needs and handle a sensory overload situation. 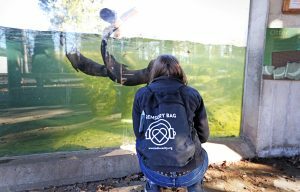 Sensory bags, equipped with noise canceling headphones, fidget tools, verbal cue cards and weighted lap pads will also be available to all guests at Potter Park Zoo who may feel overwhelmed by the environment. These visitors will also be able to use the designated quiet room for a quieter and more secure environment. “We have been hosting monthly sensory friendly events through our FALCONERS program and have always focused on creating a welcoming environment for all. Zoo staff and volunteers were very enthusiastic about taking the next steps to becoming even more accommodating to those with sensory needs. 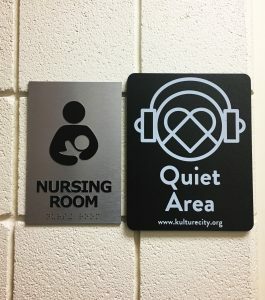 We are excited to be able to offer our guests the use of a designated quiet space and nursing room. It will give those that need it a private, safe and quiet space,” said Mariah Martinez, FALCONERS Coordinator, Potter Park Zoo. 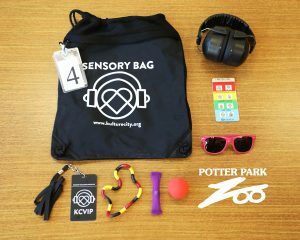 Sensory bags, equipped with noise canceling headphones, fidget tools, verbal cue cards and weighted lap pads will also be available to all guests at Potter Park Zoo who may feel overwhelmed by the environment. 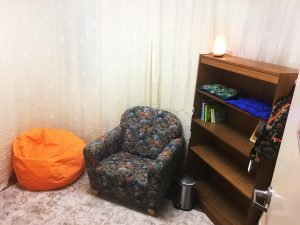 These visitors will also be able to use the designated quiet room for a quieter and more secure environment. This room can also be used by nursing mothers looking for a private space. “To see families visit Potter Park Zoo with their loved ones who have a sensory challenge is truly a heartwarming moment. Our communities are what shapes our lives and to know that Potter Park Zoo is willing to go the extra mile to ensure that everyone, no matter their ability, is included in their community is amazing,” said Traci Johnson, Executive Director, KultureCity. The quite room/nursing room is located in the Discovery Center at the zoo and is available for use by any guest. As you enter the zoo, the Discovery Center is the building on the left hand side, directly across the welcome plaza from the AniMall gift shop. KultureCIty is a leading non-profit recognized nationwide for using their resources to revolutionize and effect change in the community for those with sensory needs; not just those with autism. Since the program’s inception, KultureCity has created over 200 sensory inclusive venues in 3 countries. In Michigan, there are currently three other organizations certified: Little Caesars Arena, Comerica Park and the Fox Theater. Nearly 500 animals call Potter Park Zoo home, including critically endangered black rhinos, Amur tigers, and endangered red pandas, massasauga rattlesnake and snow leopard. The zoo is located in Lansing, Michigan and is open 364 days a year. For more information, visit www.potterparkzoo.org.